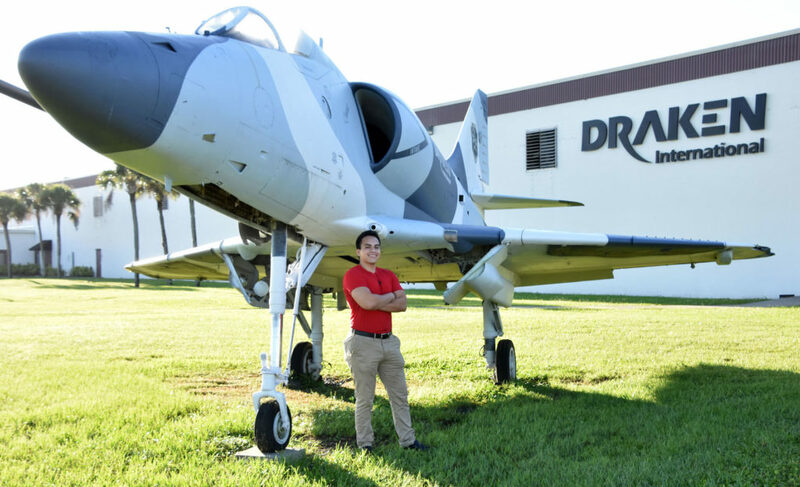 Kevin Ordoñez is currently an intern at Draken International, in Lakeland, Florida. Draken is the leading private adversary air service provider in the world. Kevin Ordoñez didn’t grow up with much. He was raised in a low-income neighborhood in Miami. His mother had to work two jobs to support him and his two younger siblings, making her unable to provide much guidance. He never met his father and didn’t have a male role model. He said he felt the odds were against him. “When you grow up in a bad neighborhood, kind of like on your own, statistics say you won’t do well,” said Ordoñez, a senior majoring in computer science at Florida Polytechnic University. Ordoñez knew his path to success would be through computers. His fascination with computers began when he was 13. His computer broke, and he had no idea how to fix it. That sparked a desire to learn about how computers work and how to build them. 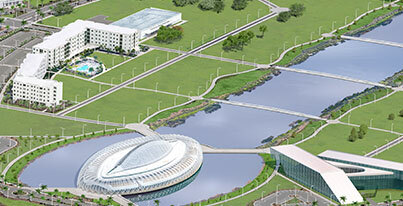 As a new state university focused exclusively on science, technology, engineering, and math (STEM), Florida Poly seemed like the perfect fit for his high-tech ambitions. 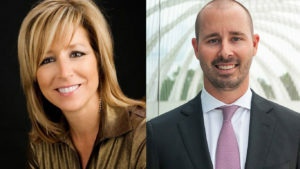 Ordoñez became a part of the inaugural group of students who came to the university in 2014. Suddenly, he found plenty of motivation around him. One advantage he has over his competitive classmates is that he’s bilingual. Ordoñez grew up speaking Spanish at home because his mother, a Colombian native, is not fluent in English. It’s a skill he now uses to his advantage when approaching any programming challenge in the classroom. “I realize that being bilingual, my brain is used to working harder because it thinks in two languages and translates from one to the other. In programming, I’m able to do the same thing, translating software languages in my head as well,” he said. His skills, dedication and hard work have landed him two internships during his time at Florida Poly. 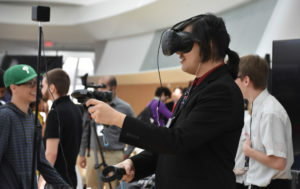 The first one was at Phacil, a company in Arlington, Virginia, that delivers technology services and solutions to the federal government. Ordoñez spent a semester there learning about SharePoint development and helping to introduce automation technology to their offices. Currently, he’s an intern at Draken International, in Lakeland, Florida. Draken is the leading private adversary air service provider in the world, and Ordoñez is working with the company on mobile application development.